Are you a fan of adding L.E.D lights to your motorcycle? You are in luck! We have noticed really cool L.E.D tuning done by Darkside Scientifics. At Daytona Bike Week you are able to see new designs, new improvements, babes, and now L.E.D tuning. L.E.D tuning was around for years; however, it just did not adopt to motorcycles same way as it adopted to cars. If Harley Davidson would have this patent pending approval they would make a lot of money on it instead of the Candy type patent. 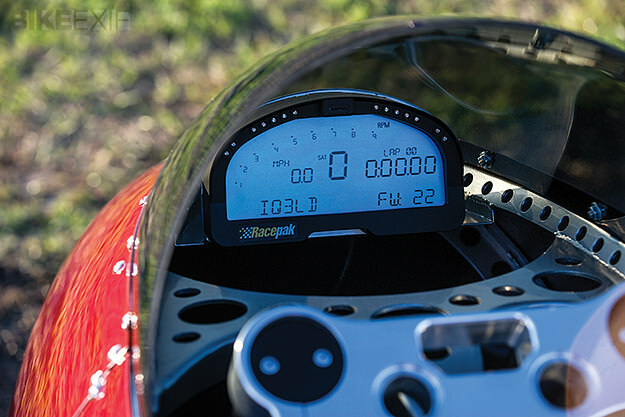 Tanks, helmets, frame elements, all can be charged up to light up with just a flick of switch or pulse. Check out the video below to see what we mean, that this will be the next cool thing to hit motorcycles. Indian Motorcycle company is taking a huge step forward, I have to say that I am impressed, with their actions. As we have mentioned in our previous posts, that Harley will have competition rolling in, and Polaris is not wasting any time to get Victory Motorcycle, and Indian Motorcycles out on the road. Recently Victory Motorcycles introduced their huge trust to bikers. Victory Motorcycles offers bring it back plan, and receive money back; read more here. On Saturday evening March 8th, 2013, after presenting thunder stroke 111 to everyone at Daytona Bike Week; Indian Motorcycles had another great surprise announced to the crowd gathered at Dirty Harry’s on Daytona Main Street. 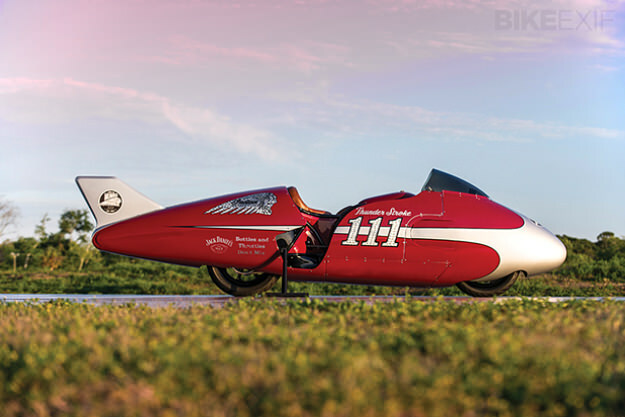 Burt Munro motorcycle will be powered by the new Thunder Stroke 111 engine. For those who don’t know who Burt Munro is I strongly suggest watching, “The World’s Fastest Indian” movie. It is one of the best motorcycle movies, with no doubt it is a must see before end of 2013. The fact that everyone should know about Burt Munro is that he set a world record at Bonneville in 1967. Going back to the motorcycle, Spirit of Munro is fully custom build, all metal tribute to the racers and technicalities during the making of history. Spirit of Munro is a runner, not a display bike, which is great news for Indian Motorcycle fans. 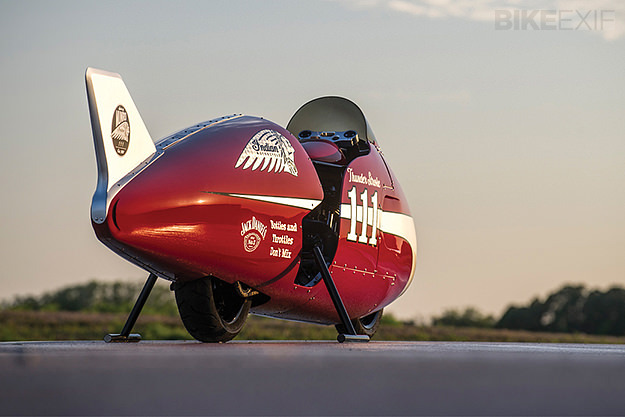 The bike was build with help of Jeb Scolman of Jeb’s Metal and speed in Long Beach, California. If you did not make it to Daytona Bike Week, don’t worry we can still bring you the action. We have found camera for playing live footage from Daytona Bike Week. The only problem is that the camera is at Main Street and now you are missing the rest of the fun. However, you may want to watch the camera to catch up on the news feed, or to look at bikes that are parked. Camera link changes every day, and with each day you will need to click here to get the latest YouTube footage. Everyone has been waiting for this moment to come, and the day finally came when Indian Motorcycles unveiled the new Thunder Stroke 111. 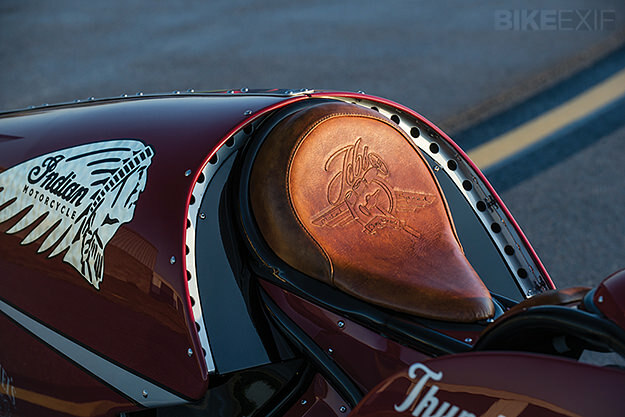 Thunder Stroke 111 will power the 2014 lineup of Indian Motorcycles. If you are at Daytona Bike Week, you are lucky, compared to other folks. The engine was tested, by various tests like dyno testing, and miles on road test. The new Thunder Stroke 111 engine will be build in Osceola, Wisconsin at the Polaris Industries Engine Assembly Plant. It can be officially said that Harley Davidson is having competition next upcoming years. Indian Motorcycles have stepped up from bottom to top in just 2 years. So as I was sitting at the computer staring at the new engine, I have wondered what story is behind this engine, and yet Indian Motorcycles have surprised me by adding really cool history video of the engine and Indian Motorcycles. Overall in the video they cover the past, present and future. Click here to learn more about Indian Motorcycles.